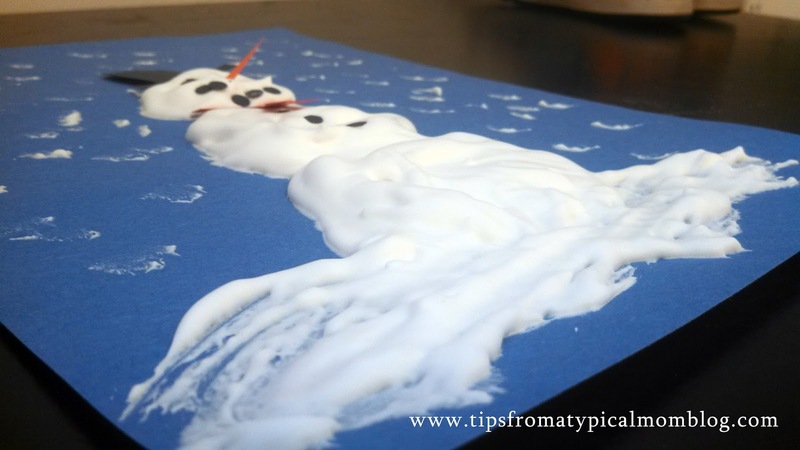 This is such an easy and fun craft for my preschoolers. It’s so different and they love the fact that the “paint” stays puffy! Add equal parts shaving cream and glue to a bowl and mix well with a paint brush. I just eyeball it. Don’t mix it too much or the shaving cream will become flat. 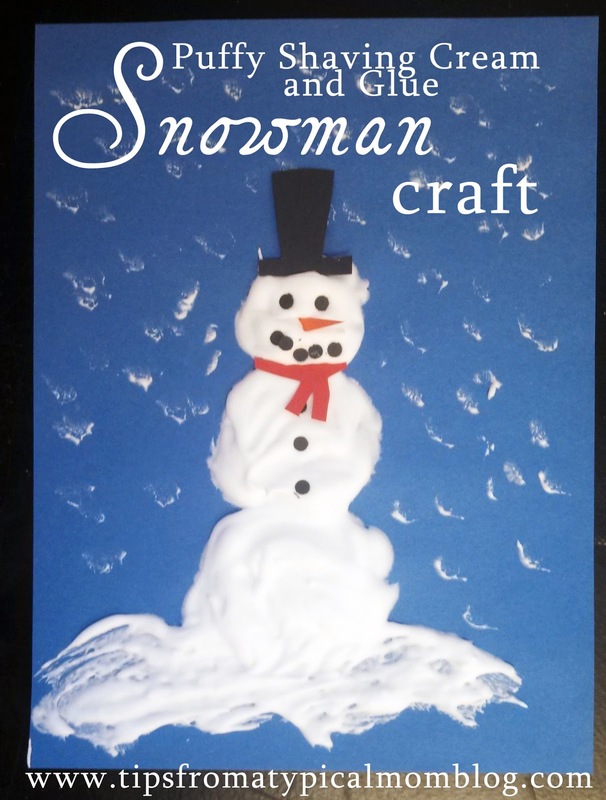 Now paint onto a paper in the shape of a snowman. I usually draw circles on the paper for my preschoolers so they know where to paint, but that is not necessary. Then I cut small long triangles out of orange construction paper for the nose and use a paper hole punch for the eyes, mouth and buttons. If you want you can cut top hat shapes and scarves too. Make sure you add these to the snowman before he dries so they will stick. If not, you will have to use dabs of glue. Let the kids add ‘snow’ around the snowman and a snowy ground too. 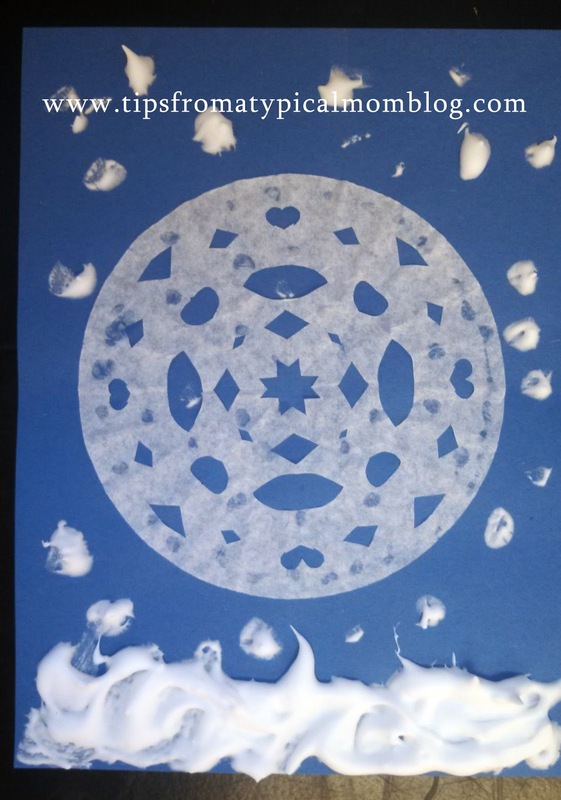 We also cut snowflakes out of coffee filters and use the puffy paint to add more snow for scenery. The kids love this project and it smells really good too!